Walterboro, May 15 – (Special) – Official notice came from the United States war department announcing the death, April 30 of Second Lieut. 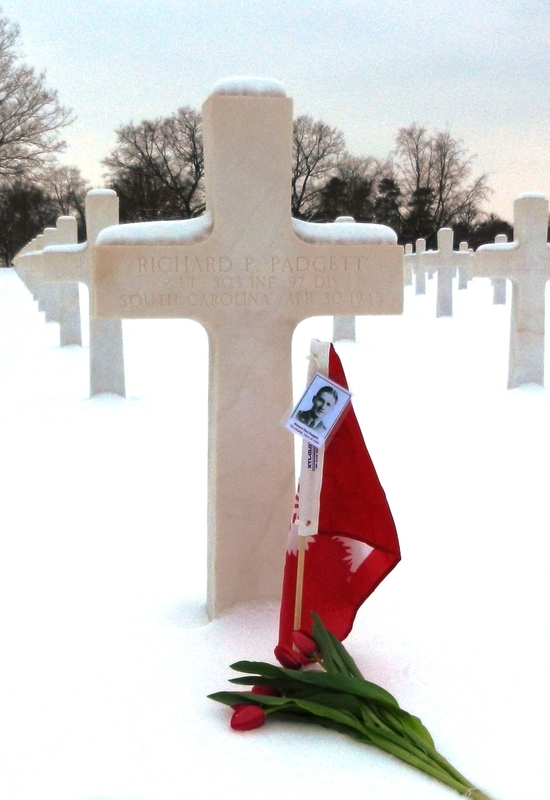 Richard Paul Padgett in Germany. No details have been given. Lieutenant Padgett was the son of Mr. and Mrs. C. Gadsden Padgett, and was in his senior year at The Citadel when his class was enlisted in the army. he was sent to Fort Benning to the Officers’ Candidate school, receiving his commission July 11, 1944. The next day he and Anne Ficken, daughter of W.E. Ficken and the late Mrs. Ficken, were married in Columbia. He was transferred to California for several months, and thence to the Western Front where he was on combat duty. While at The Citadel, Lieutenant Padgett was on the annual staff, the Hops, Ring and invitation committees. Surviving are his parents, his wife, and the following brothers and sister: C. G. Padgett, Jr., Walterboro; Brantley Padgett, Charleston; Vivienne Padgett, a senior at Furman university; his father, C. Gadsden Padgett, is president of the Bank of Walterboro and is a member of the state bank board. An interesting event today was the birth of a son to Lieutenant and Mrs. Padgett at the Es Dorn hospital in Walterboro. His name is Richard Paul. – Source: The State, 16 May 1945, p.3. Padgett – condolence letters – Source: The Class of 1944, Claude K Hydrick Sr., 1994 (This is the yearbook the class of 1944 never got – basically a collection of information from those ’44 grads that were living in 1992 when the book started to take shape and then finally published in 1994). 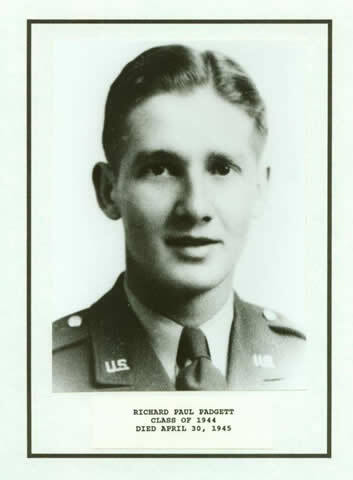 I am trying to find out exactly what Richard Paul Padgett’s unit did in Europe. Anyone who can give me details about his unit and his duties?